Kim is a female with no clear background. People only know that her family was killed by monster attack, and that her ancestors lived in the East during the days on Earth. She wears a special body suit of her own design and carries around specially modified sword and bow, weapons that her ancestors used to wield. Kim’s kinetic blade is her main source of damage and her favorite weapon. It has a very short range but doesn’t need reloading (obviously) and can be wielded with ferocious speed. Kim’s kinetic blade is always flowing with powerful energy and every time she attacks a target, the energy overflows into her suit, granting Kim a temporary shield equal to 1/10 of her health. This shield can stack up but deteriorates rapidly when she is out of combat. Kim can also charge up her kinetic blade for a special attack. When the blade is fully charged, Kim strikes outward, dealing increased damage to targets in a small area in front of her. This attack can grant a shield up to 1/4 of Kim’s health. When the monster is too far away from the kinetic blade’s reach, the C4 arrows are Kim’s next best choice. Kim shoots C4 arrows at the target, dealing initial damage and causing the arrow to be embedded in the target’s body. When she or her fellow hunters hit the target where the arrow hit, the arrow explodes, dealing additional damage. When this ability is activated, Kim’s body suit goes into an overdrive for a short time, discharging high amount of unstable energy and damaging any nearby targets. Also, anytime a monster melee attacks Kim while Overdrive is active, she returns part of the damage to the monster, regardless of whether she is shielded or not. Kim cannot use Overdrive while she is pounced or trapped. The job of the assault class is to get in the monster’s face. Well, that’s exactly what Kim is built for. When you spot a monster, try to shoot it with some C4 arrows while it’s out of your range. 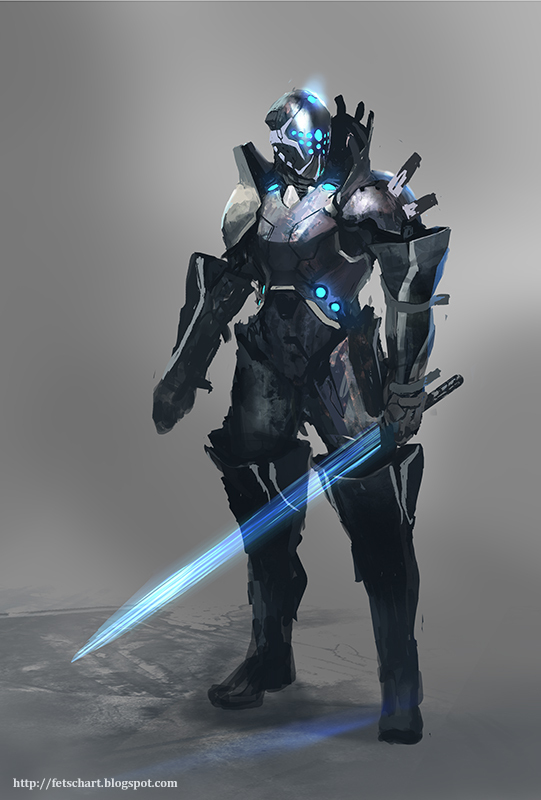 Before engaging in combat, hit it with one charged attack from your kinetic blade, giving you some basic shield to get you in the fight. While the kinetic blade doesn’t grant you too much shield, once it stacks up, any monster is going to have a tough time getting through it with just melee attacks. Overdrive can be used both offensively and defensively. Although she cannot activate it while pounced or trapped, if the ability is activated beforehand, you’ll be immediately freed from any traps or sneak attack. A good monster will try to stay out of Kim’s range, bringing her health down with its abilities before going in for the kill. Everything’s good except for the sword. Remember somewhere mentioning no melted specific hunters. Try exchanging it, I could see This happening, though with that pic I’d prefer a robot. Think of the dialogue between him an Bucket! Thanks! Can you tell me what you mean by no melted specific hunters? Ahahaha my bad, typo. Meant no melee specific hunters. Full melee wouldn’t work, but a sword that launches a shotgun-ranged energy-echo thing (like uh… Legend of Zelda I guess) would be cool, maybe bonus damage at point blank. Ability (3rd item) could be a mid-range slash-n-dash, like samurai do in anime and whatnot. Maybe the monster and Kim stare eachother down on a split screen for a second first. Gif anyone? I have no idea what to search for this one.